Clio Gould enjoys a varied career as a violinist, and performs as soloist, director and leader throughout Britain and Europe. She made her BBC Proms concerto debut with the BBC Scottish Symphony Orchestra, and has made concerto appearances in the UK with the Royal Philharmonic Orchestra, the London Sinfonietta, the London Philharmonic Orchestra, the BBC Symphony Orchestra, the BBC Philharmonic Orchestra, the BBC National Orchestra of Wales, the Hallé, the Ulster Orchestra, the National Symphony Orchestra of Ireland and the Royal Scottish National Orchestra. Clio was appointed leader of the Royal Philharmonic Orchestra in 2002, becoming the first female leader of a symphony orchestra in London. She held the position of principal violin of the London Sinfonietta until 2011 and was Artistic Director of the Scottish Ensemble, a conductor-less string orchestra, from 1993 to 2005. Clio is a regular guest-leader with many of the UK symphony orchestras. As a leading exponent of contemporary solo repertoire, Clio has worked with many prominent composers. 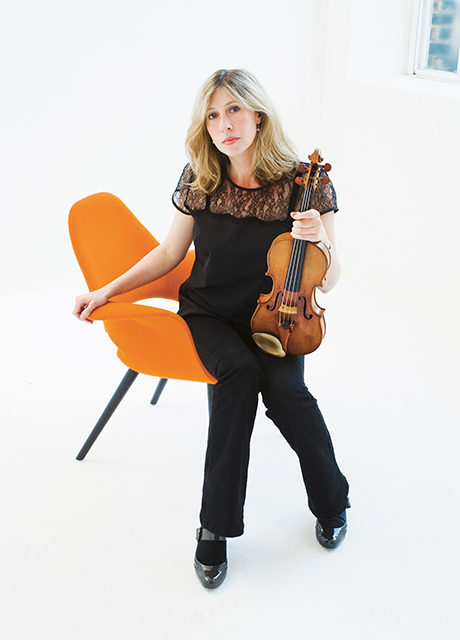 UK premieres she has given include John Adams’ Road Movies for violin and piano, David Horne’s Double Violin Concerto and Anthèmes II for violin and live electronics by Pierre Boulez at the South Bank’s celebration of the composers 75th Birthday. Clio gave the UK premiere of Oliver Knussen’s Violin Concerto with the BBC Symphony Orchestra in the 2003 Aldeburgh Festival and has since performed the concerto with the Hallé as well as in Japan, Finland, Sweden and Budapest, with the composer conducting. Clio plays the Rutson Stradivarius of 1694, which has generously been lent to her by the Royal Academy of Music where she regularly directs the Royal Academy Soloists. She has been awarded an Hon RAM.